At this point we are pretty much eliminated from the WC 2019 race. What can I say, I'm not really disappointed, after we missed Eurobasket 2017, and after we had to play pre-qualifiers for the WC qualifications, current situation doesn't look like the worst days of our basketball. We won a game against Russia and eliminated Belgium in the first round of the qualifications, that's some success. Our future? Eurobasket 2021 is for three years, that's a long time. And who knows will we even qualify. And it's ridiculous to make long term projections with us, you never know which player will decide to play for some other national team, or just not to play for the our national team anymore, there is always some affair around our team, man, I'm really tired of that. Things i liked in our game in last two matches? There aren't many, but I must say both Nurkic and Musa draw so many fouls on this level. That's best what we can offer in offence, so we aren't team that's nice to watch. We shoot many free throws, but with poor percentages. Our team can't shoot for 3, can't shoot free throws, can't shoot anything. Shooting is worst part of our game in offence. And also the fact that we were without any serious PG in our roster so Musa with his 206 cm had to play on that position which seriously constrain his scoring effectiveness. We were also without any pure PF, so we played either with two C's or with SF on that position. In defence, we are oversized and slow. Opponents just outrun us. Slow pace game suits us better. It's hard to win games when every opponent can run better and have better outside shooters than you. With just Gordic and some naturalised American guard it would be completely different situation and far more serious team. Previous post was about him. He will maybe be a good point guard one day. Righ now he isn't. Same as Gegic, probably with even less chances for succes. His level is Bosnian league. He may have long and successful career in the NBA, or maybe not and he will return to Europe sooner than expected, but as for the BiH he is already our second best player. He's enough talented that in the lack of Gordic and some American he is a second best player counting just positions 1, 2 and 3, although he is a free agent for a long time and previously never had a real chance to play in AEK. His talent was never questionable, but there are concerns about his dedication. I am still a beliver, he's 6'7'' with 6'10'' wingspan, decent athlete, can do all the things on the court and finish the game with stats like: 10 points, 6 rebounds, 3 assists, 2 steals, 2 blocks. He is the only pure shooter in this team, but plays in the Bosnian league and that's really poor level of competition and you can't seriously count on him on the high level. He was 3/3 for three against Finland, that's best you can get from him, once in a while. He is just awful. He makes me insecure with how he plays. I expected more from him. What he can contribute on the court right now isn't really much. I hope there is still a room for growth and improvement as a player for him. He maybe plays in the 2nd division in France but he was decent contributor for the national team in some matches. Missed this window because of injury. He will play in the ACB in this season, so let see how good truly is he. Missed this window because of injury. I don't even know why is he in the national team. Last season in the NCAA he had 1.6 points per game. Played well in the NCAA and in this summer signed for European powerhouse Baskonia. He still didn't made his debut for the national team. Nobody can tell right now will he develop into a good player and how useful will he be for the BiH in the future. Nurk was dominant both in offence and defence, although he had to deal with the lack of true PG, good shooters and some stretch four around him. He's too good for this mediocre national team. He played well this time, but just because opponents double -teamed Jusuf when we played with two C's and nobody really cared about Kikanovic. That's the story with him in the national team, he will score 15 when we have some bigger names in our roster, but when he is our first or second offensive option, when opponents actually care about him in defence, he will score 0. I belive that Ibrahim Durmo(21 yo, 6'8'' SF, Spars Sarajevo) should have been in the team for this „window“, it's not like he can be worst than our current SF's, and he is at least younger than them. 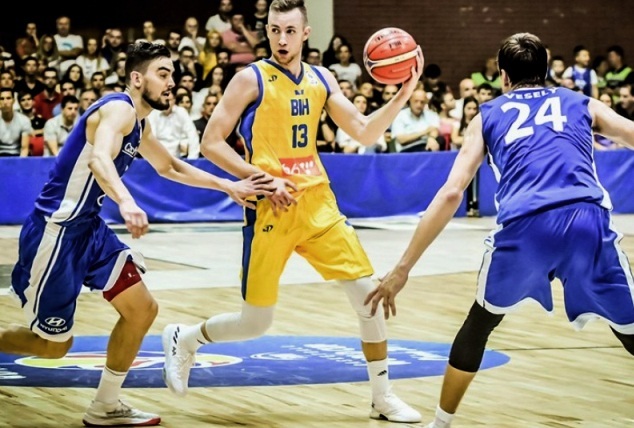 And let see how much will Nedim Buza(23 yo, 6'8'' SG, Oostende) play for his club in the next season after couple of serious injuries, when healthy and in form he at least can give us some outside shooting. Nedim Djedovic(21 yo, 6'7'' SG, Araberri) was 46/137 for three in the 2nd division in Spain in the last season, he may be a option too. Remember, his older brother and Bayern Munchen player Nihad couple of years ago took German citizenship and he had to give up Bosnian citizenship in the process because you can't have both, so he lost the right to play for the BiH national team. I actually have hopes that some guy who is anonymous right now will shine in the near future. We should go in the full young mode for the last 4 games, although we already have really young team but unfortunately young doesn't necessary mean talented, I have serious doubts about some of our young players. It's already time to think and build a team for the Eurobasket 2021 qualifications. Last edited by BiHBasket; 09-23-2018 at 12:57 AM. Well it's a shame you're out. Should have won Belgium and Czech Republic, against beatable opposition in order to have a real shot at qualifying. Next competition will be in 2021, so that will make it 6 years without a major tournament for Bosnia. You chances are very slim now, basically you need to win all remaining games and hope for Russia and Finland to win less than 2 games. Doesn't look impossible since both will miss their star players in the rest of the games and they also face each other twice, while Finland will get to travel to Bosnia and host France. Russia's schedule is easier, they got to play Bulgaria and an already qualified Czech team. This is first season for the SPARS on the higher level than Bosnian league. 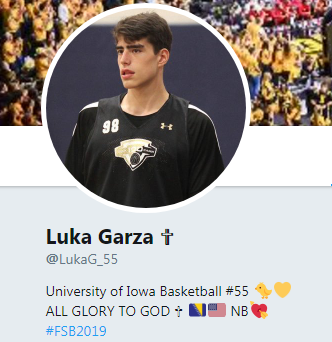 They are more known as a regular participants of the U18 Euroleague and because they care more about young players development than results, from the angle of Bosnian fan they are our only club worth to follow right now. 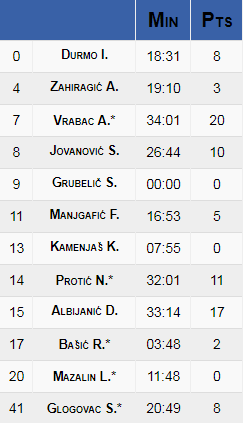 It's a nice win for the debutants, Borac is a decent Serbian team with a loud home crowd, they even have a Serbia national team player for those FIBA "windows"(Ilija Djokovic). PG Nemanja Protic, 32 yo, Serbian. Experienced player who changed a lot of clubs in his career. PG Adi Zahiragic, 23 yo, Bosnian. Occasional BiH national team player. below expectations(that's how he ended in SPARS). SG Slobodan Jovanovic, 21 yo, Serbian. Former Partizan player. SG Sandi Grubelic, 22 yo, Slovenian. Former member of the U20 Slovenia national team. SF Adin Vrabac, 24 yo, Bosnian. Regular part of the BiH national team and he is one of the worst there, but as it seems he is good enough for this ABA 2nd division level. SF Ibrahim Durmo, 21 yo, Bosnian. Right now occasional BiH national team player(I hope regularl in the future). PF Stefan Glogovac, 24 yo, Bosnian. Occasional BiH national team player. PF Fahrudin Manjgafic, 21 yo, Bosnian. Part of the BiH U18 team which finished 4th on the 2015 European championship. C Drasko Albijanic, 32 yo, Bosnian. Former BiH national team player. C Refik Basic, 23 yo, Bosnian. He's 7'0'' with a strong built, and that's all. C Kenan Kamenjas, 18 yo, Bosnian. Best 2000 born Bosnia and Herzegovina player. It's questionable will he ever play for the national team again, but anyway he will play in the Euroleague and for his fans that's a far more exciting competition to follow than a Adriatic league. They are one of the favorites teams, and he should have a significance role on the center position. But he will turn 32 in December, already seems on the court exhausted and less energetic than before, there are no many high level seasons in front of him. Should have a decent role and playing time, after all he can play both forward positions, but he is just meh. He will be their second or third PG, or maybe they will again send him on loan. Newcomer in the league. After a time in Bayern Munchen(and for the most of the time it was a Bayern Munchen reserve team) he signed for Partizan. As it seems from a preparation games, he will have a role in this team, but at least for now it will be something like this: 15 mpg, because of his 6'7'' size, strong body and solid athleticism they expect from him intense defence on opponent PG's, SG's or SF's, and in offence he will not be used as primary ball handler when on court, although he's a point guard(at least he was till now). He just signed for them, after he was without club for months. Season is just to start, and unlike rest of the team he obviously missed the preparations. This is possibly his last chance to get his career on the right track. He is that really talented guy but with some behavior and dedication question marks. It's time to get serious, with a right attitude and a hard work, I can easily see him in the Euroleague in the future. But if he screws up with this club and this opportunity, his future professional career as a basketball player will be questionable. Last edited by BiHBasket; 09-28-2018 at 10:22 AM. Teletovic confirmed that he will get some role in the Basketball Federation of Bosnia and Herzegovina, and sometimes later he will probably become President of the Federation. Kasniti na trening, ne pojavljivati se, ne dolaziti na vrijeme, kasniti na ručak, ne javiti se... Je li to red, rad i disciplina? Mirza je došao nespreman, ima deset kila viška. Momci koji su krenuli s pripremama 18. jula u besprijekornom su stanju. Naknadno je stigao Zach Wright i to u solidnom stanju što se ne bi moglo reći i za Mirzu Teletovića. On je stigao u poprilično lošem stanju, s par kilograma viška i usporio nam je rad. And there is more of that why I don't like the guy. But it's just me, even though he was booed in his last game for the national team(although at that moment nobody really know it was hist last game for the n. team) vs Russia because of his behavior and overall (selfish and terrible) play which culminated when he kicked his 18 yo teammate Musa during the game after brief brawl, he still has a lot of fans in Bosnia and Herzegovina and almost cult following. Last edited by BiHBasket; 09-30-2018 at 12:00 AM. Aleksandar Lazic (96') for the home team: 33 minutes, 8 points, 10 rebounds, 3 assists. Adin Vrabac (94') for the away team: 28 minutes, 8 points, 5 rebounds, 3 assists, 2 steals, 2 blocks. Ibrahim Durmo (97') for the away team: 18 minutes, 9 points, 7 rebounds, 2 assists. Haris Delalic (94') for the home team: 33 minutes, 23 points, 3 rebounds, 3 assists. 42 years old Vedran Bosnić may become our new national team coach. In the past he was coach of the Södertälje King(won four consecutive titles with them) and national team of Sweden. Right now he is the coach of Lions de Genève in Switzerland. Stipanovic and Kikanovic retired from the national team. Federation will try to change their mind. Last edited by BiHBasket; 11-17-2018 at 03:43 AM.